While it’s public knowledge that Zynga is having a rough time of it, not all gaming companies are struggling. 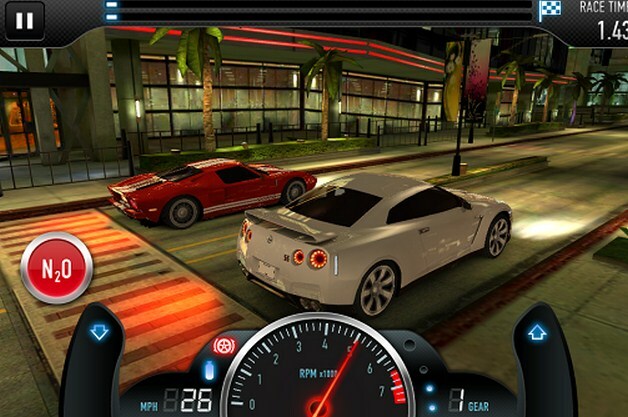 One such firm is NaturalMotion, whose title ‘CSR Racing’ is currently generating revenues of some $12 million monthly. The company lists eight other titles as part of its current portfolio. The company told TNW that it has another six titles on the way, all of which will be released under the free-to-play paradigm. To help it build and ship games as often as it wishes, the company has acquired Boss Alien, a game studio that it has worked with from its birth. NaturalMotion declined to provide financial details of the union. The acquisition, however, is hardly surprising given the two companies’ history of collaboration. Free-to-play is not a new gaming model, but it is one that has found massive market traction in the last year. The explosive success of League of Legends has cemented the method of monetization has feasible at any level of scale. NaturalMotion is looking to capitalize on that fact, while putting its own spin on it. Instead of releasing inexpensive, quickly-built games, the company is instead investing heavily into each of its games, bringing them up to what one could call the ‘console level.’ And then it gives them away to mobile users. Gamers can buy in-game items, power boosts, and skins. As the game is free, the barrier to entry is low. But if the title is strong enough, gamers will invest into their play. My credit card can vouch that the model works (you’re welcome, League of Legends). The question that faces NaturalMotion is whether it can build new hit apps that can generate seven and eight figure monthly revenue (how much total ‘spend’ is available in the mobile market is an open question), and how long each game will exist. Like an oil field, it could be that games have a natural lifecycle, and that once emptied, end. For now, things appear to be firing on all cylinders for the firm. We’ll keep an eye out for its coming titles, and if they catch our eye, give them a test.